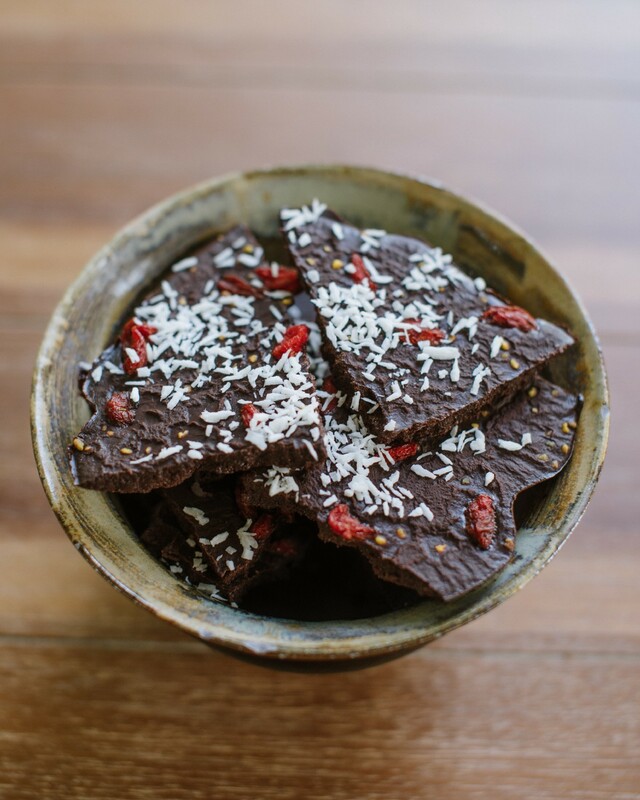 🍫This chocolate bark is so delicious and simple, PLUS it offers the healing benefits of CBD, coconut oil, goji berries, local bee pollen, and cacao! 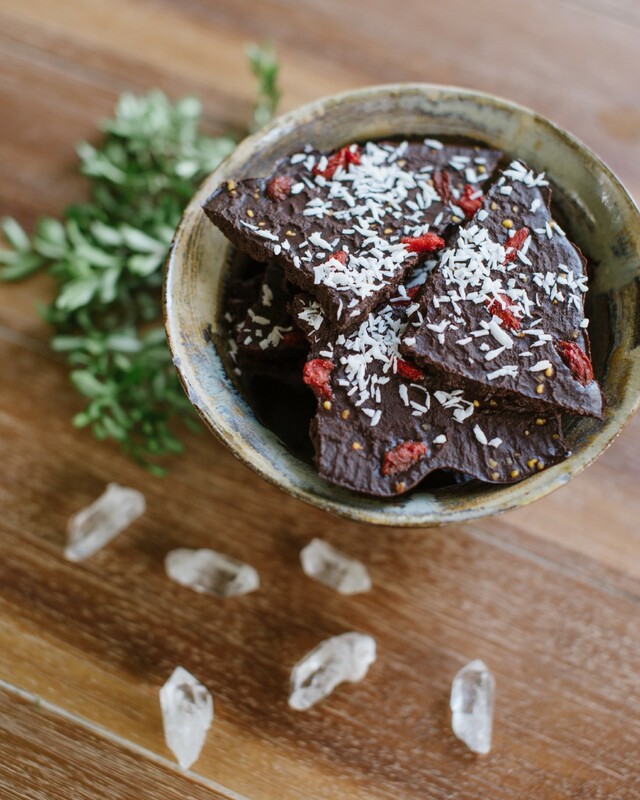 Freeze this bark for a few weeks (although we doubt it will last you that long 😂) and break off a piece whenever you want to satisfy your sweet tooth while offering your body @cbdsuperfoodnourishment! Heat conventional coconut oil on low to medium heat over the stove. Once the coconut oil has melted, take the pot off of the heat and add the @cbdsuperfood dark chocolate coconut oil, cocoa powder, sweetener, and salt. Mix together then pour into a pan over parchment paper. Refrigerate for half an hour before adding toppings- we chose superfoods bee pollen and goji berries. Continue refrigerating for another hour or two before serving.